I have a problem with 2 MAG 256....when do the boot the box still blocked after INFOMIR page and not charge the embedded portal. I also try factory reset and reinstall 2 type of standard firmware but the problem remain. I managed to install a MOD firmware and the box goes on...but after they charge only the portal of the firmware, and is not possible to use Siptv. I noticed that when i do factory reset hold rear button on 3° red light the image in black and not 0 as factory image....i dont find it on web to get back to that. Do you know if your box is an original and not a clone? Has clones can't update from informer homepage it either blocks them or box crashes when being verified. Yes, are both original Infomir....i always do the update when install it and disabled new autoupdate. This box go fine from about 4 month, but from yesterday do the problem. Is there a method for change RootFS ? Please, there i someone that have saved MAG 256 FIRMWARE ZERO 0 (FACTORY FIRMWARE) ? I need firmware zero for trying re-upload from mag. Siptv...i use the portal, is the best app ever also on smart tv and MAG 250 and 256....you can switch server quickly at 5.50 cost only one time ! You mean something like on the current version? This one is flashed by Infomir when manufacturing STBs. It's just plain factory image with preset default settings. Ask here friend: https://community.infomir.eu, Infomir support will create for you special account on their help desk and may send the needed files. 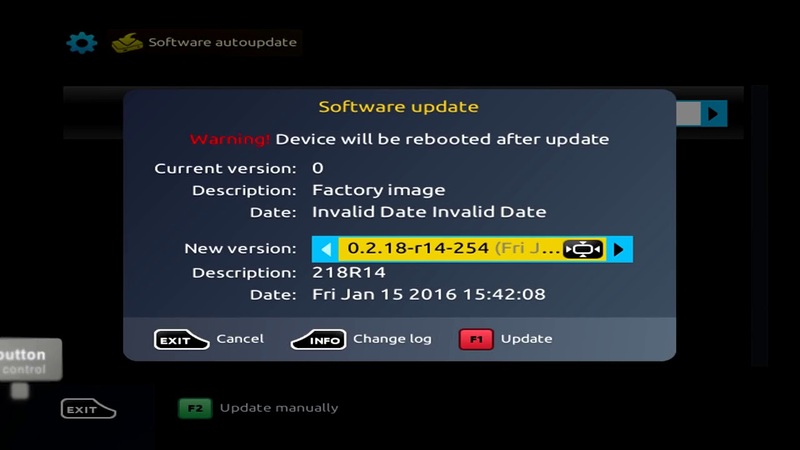 You may have to update firmware several times has the version shown is back in 2016 there are a lot if updates since.